Mid Sussex Golf club like many golf clubs have a recognized charity through each year and after Andrew and myself speaking with the current captains of each section mentioned we would like to raise money for local charities and AITC fits the bill perfectly with what we are trying to achieve at our Golf Club. 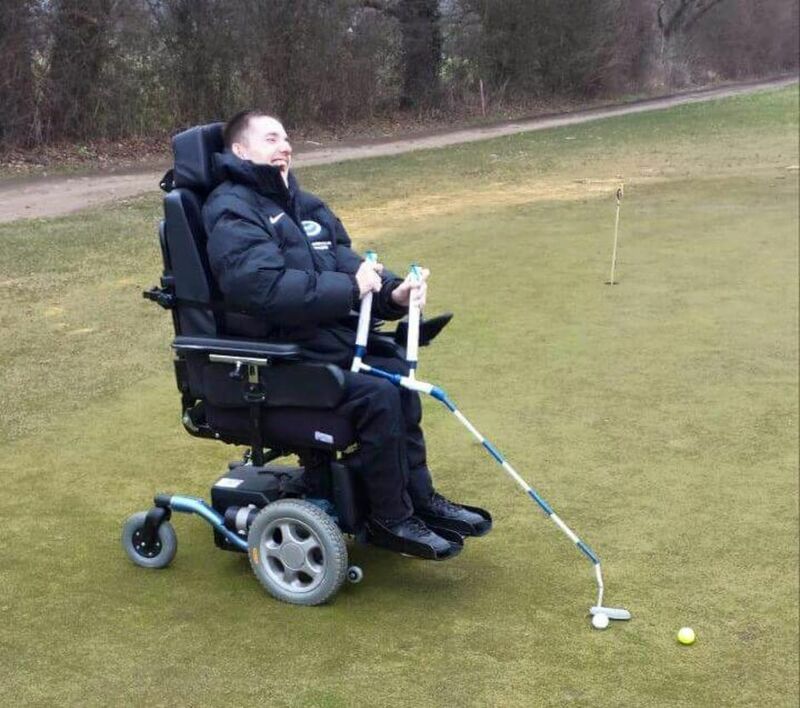 For others that are more fortunate than Jadey and do not require a wheel chair we have a 9 holes short course at only 1083 yards par 35. This has kindly been sponsored by Porsche Centre Mid Sussex with the appropriate scorecards and hole markers – this is a great way to get new golfers onto the golf course sooner.